LG G6 will showcase a stunning FullVision Display having an amazing aspect ratio of 9:18 instead of 9:16 before, while Samsung’s flagship devices namely Galaxy S8 and S8+ will feature Infinity Display. We’ll be covering the top features of Infinity Display and FullVision Display and tell our readers about their uniqueness. The social media platform was abuzz with LG G6 leaked images in May 2017 and now, the company has officially announced that its FullVision Display will debut in this same gadget. Earlier, there were rumors about Galaxy 8 and Galaxy 8+ models getting Infinity Display. And now, it has become for real. The Infinity Display of Samsung gives a neater look to the phone with zero bezels and an even surface. The feature will make your phone screens bigger, making it more convenient to use many applications simultaneously. For achieving this agenda, it has cut down lots of things at the upper and lower front. Further, the 5.8-inch display with 570ppi in Samsung Galaxy S8 and even larger, 6.2-inch display with 529ppi in Samsung Galaxy S8+ will woo its users indeed. Almost every company is entering the bandwagon of giving bezel-less or minimal bezel screens to its customers. Some smartphones including Xiaomi Mi Mix, the upcoming UMIDIGI C Note and LG G6 will soon join this race. As mentioned above, LG G6 will get a FullVision Display with a bigger screen-to-body ratio of 9:18. 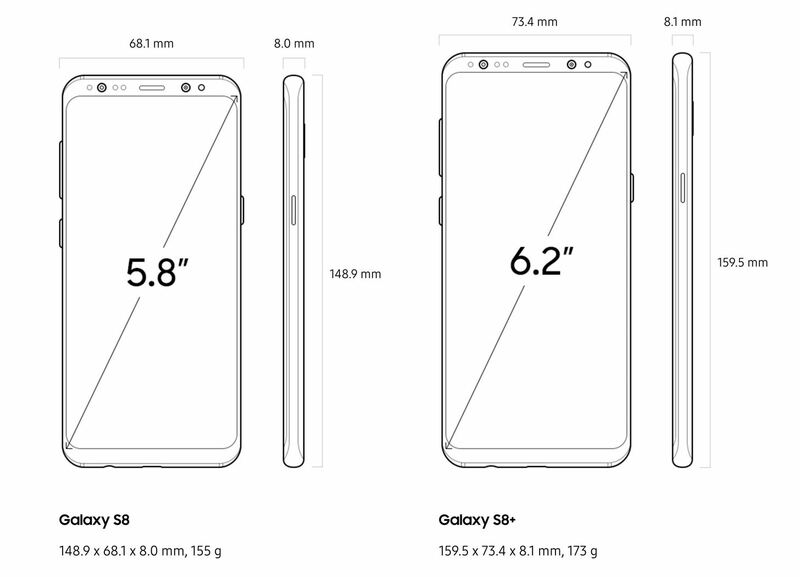 Just like Galaxy 8 and 8+, it will have lesser bezels and bigger screens. Though the company had to face many unpleasant responses from the experts because of this new ratio, it had today announced how the FullVision Display can make its customers’ tasks easier and simpler than before. 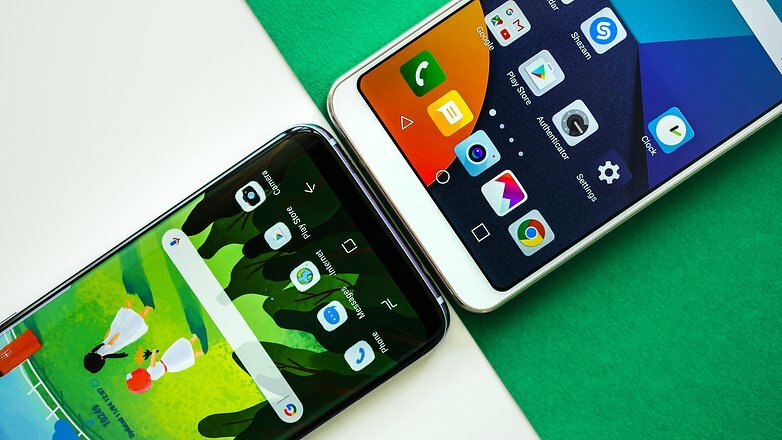 The users will see a much-improved web browsing experience, and when switched to portrait mode, they will see more content in better quality, than on the standard display. How about shooting videos in perfect 1:1 format? Yes, LG G6’s FullVision Display has made it possible. 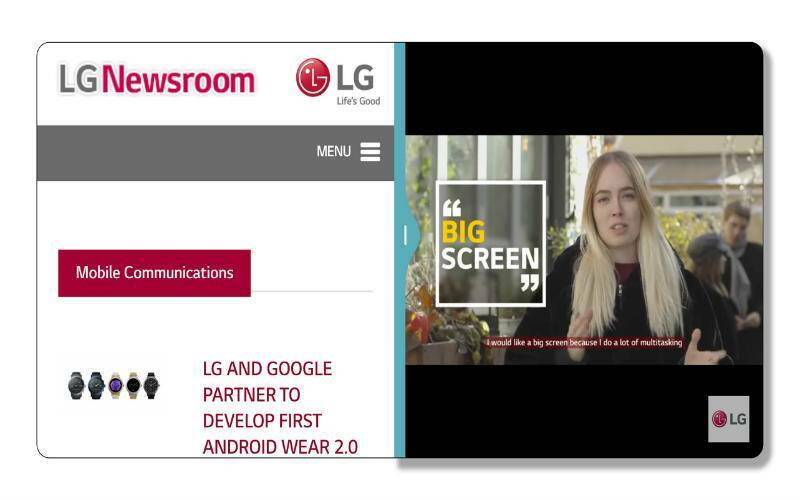 With the incredible FullVision Display, LG claims that a user can open two apps at a time in two square windows. Looks cool! Did you love the top Features of Infinity Display and FullVision Display for Samsung Galaxy S8 and S8+, and LG G6? Share in the comments below.